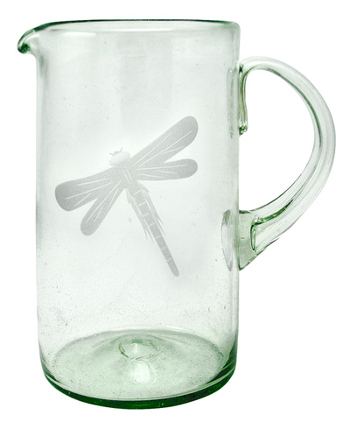 Celebrate summer all year long with this dragonfly pitcher, a telltale sign of warm weather and flowers. Handblown and etched in Mexico of recycled glass. Dimensions: 8.25" H. Holds 56 oz. Pearled Round Picture Frame 5"